Blue growth and sustainable use of under-utilised marine resources is an issue high on the agenda throughout our region, and beyond. 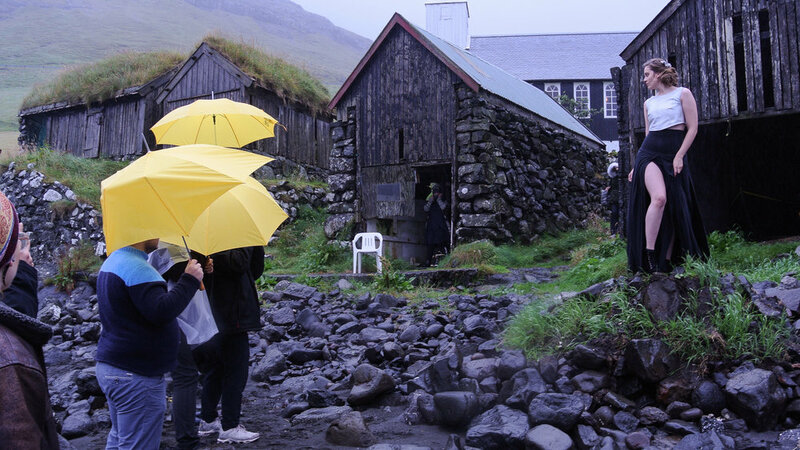 The subject is being approached and put into spotlight on different platforms, but in the midst of conferences, policy discussions, reports, research and strategies an interesting, fresh approach to marine bio economy and sustainable use of marine resources was done in the Faroe Islands recently. Fashion. 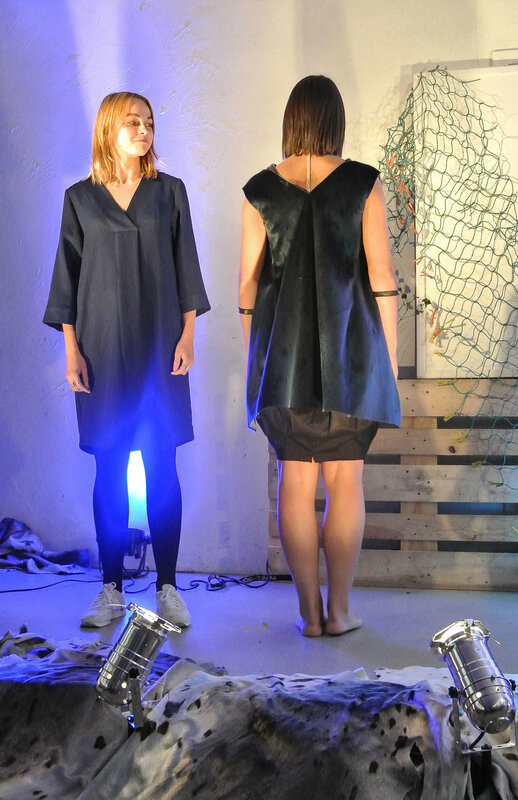 During a five day event, organised by NORA (Nordic Atlantic Cooperation), an intergovernmental organization under the Nordic Council of Ministers, 11 established nordic fashion designers, most with their own brands, competed in the Blue Fashion Challenge. 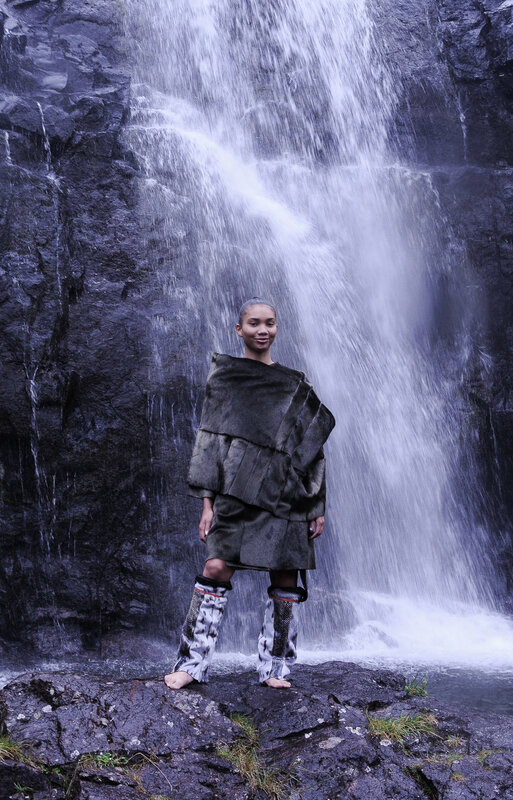 Given a well equipped, inspiring workspace, professional assistants and stacks of diverse fish leather, sealskin and seaweed jersey to work with, the designers were challenged to create high end fashion. Designer Sissal K. Kristiansen from the Faroe Islands won the challenge with designs of seaweed jersey and fish leather, being photographed here by the chairman of the jury, fashion photographer Tommy Ton. 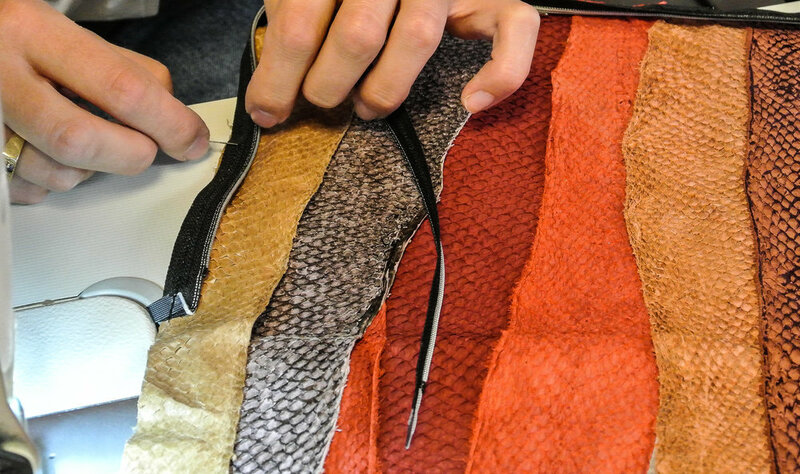 The designers were challenged not only to use sustainable marine materials but to make their designs so that it would ensure responsible production and add fashion value to under-utilized marine resources, especially by-products like fish leather and sealskin. Is short, the event was a success, as the designers' results below show. Freya Dalsjø is a Danish designer with a high-end label she founded in 2012, characterized by strong appreciation for contemporary luxury, revitalizing heritage techniques with a fresh and avant-garde approach to the design process. 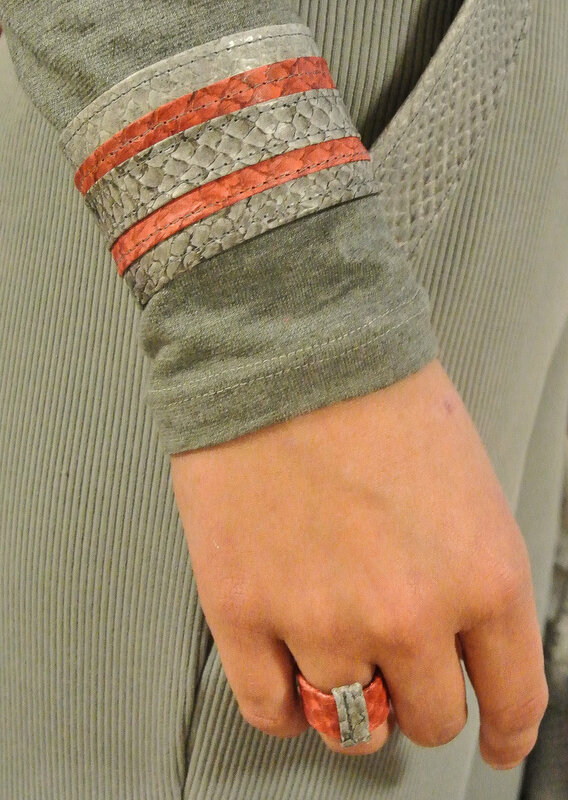 Freya’s design in the Blue Fashion Challenge was a jacket made of salmon leather. Frida Poulsen is a fashion designer from the Faroe Islands. In 2004, Frida started studying Fashion Design at Istituto Marangoni in Milan. After graduating in 2008, Frida continued to evolve her designs at different established and well respected studios in Milan. Frida’s inspiration mostly comes from contemporary art and simple geometrical shapes. Helena Manner is multi-disciplinary artist and designer from Finland with a background in glass and art design. 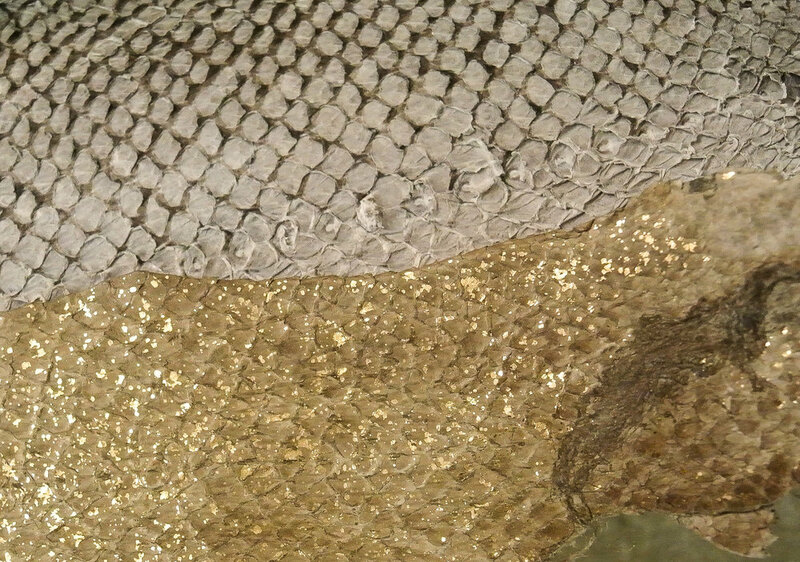 Known for her designs in ceramics, textiles, wood and metal, Helena used seaweed jersey and different colored sealskin at the Blue Fashion Challenge for her separate pieces of dress and west. Hilda Gunnarsdóttir is the Icelandic designer behind the well-known brand, Milla Snorrason. 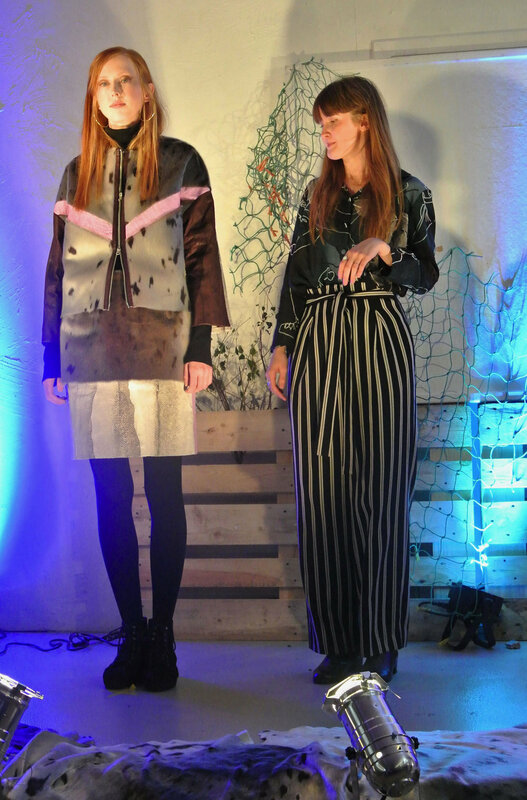 In Torshavn Hilda designed a matching skirt and jacket using salmon leather and sealskin, both bi-products of sustainable materials that fit well with her general choices for designs of quality, longevity, all natural materials such as Icelandic free range wool. As a brand Milla Snorrason supports local and ethical production in a slow fashion manner, only one collection is released per year, each inspired reflectively by a specific place in Iceland. Iben Bergstrøm from Norway is a designer passionate about colorful clothes and everything vintage, and her passions reflect on the clothes she designs. Coming from a background of brand building, digital strategy, social media, and community management, Iben's designs beam with color and joy as she clearly demonstrated with her ornamenting use of colorful sealskin and fish leather at the Blue Fashion Challenge. 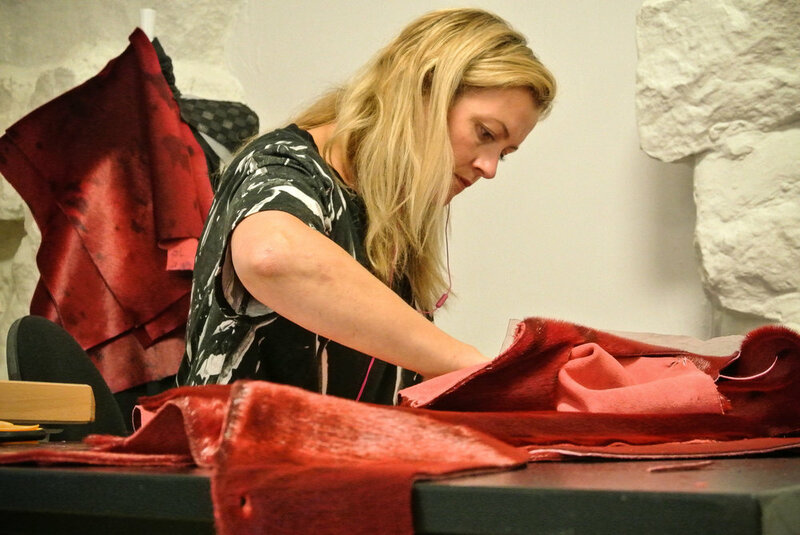 Kolbrún Ýr Gunnarsdóttir is an Icelandic designer who was awarded second prize at the Blue Fashion Challenge for her oversized red sealskin jacket, black seaweed jersey dress, fish leather belt the matching bag where she used all materials in one design. 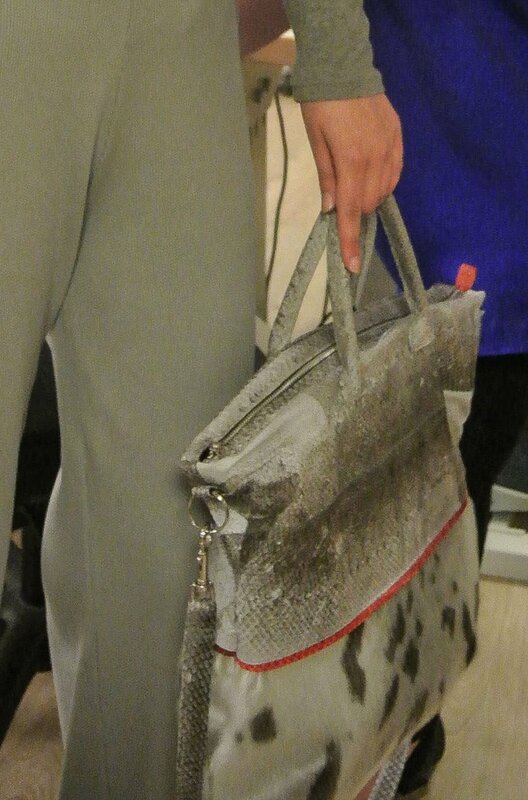 No stranger to sustainable design, this was the first time Kolbrún Ýr designed from sealskin or seaweed. Since 2012, her well known Reykjavík based brand KOLBRUNhas offered luxury, eco-conscious and ethical, slow fashion where all products are handmade from high quality, eco-friendly fabrics. Lizette S. Karrento, fashion designer from the Aland Islands comes from a background of diverse design, costumes for film and television, textile design in art projects, interior design and of course fashion. 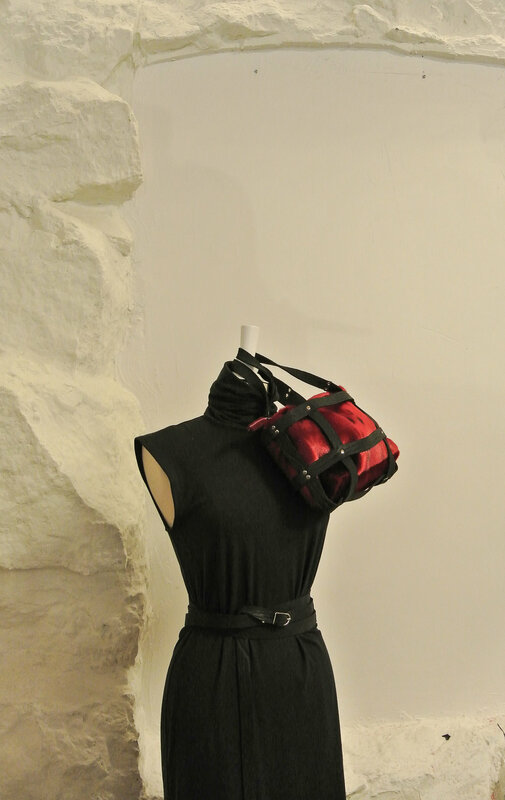 Throughout her designs, Lizette has focused on sustainability and the use of recycled or recyclable materials. Based in Helsingfors, Finland Lizette is known for her designs in textiles, fashion and handicraft and together with Linnea Grunnesjö, she runs the Sypodden website which is home to discussion and projects on design, art, business and more. For the Blue Fashion Challenge Lizette designed a dress from fish leather and seaweed jersey. 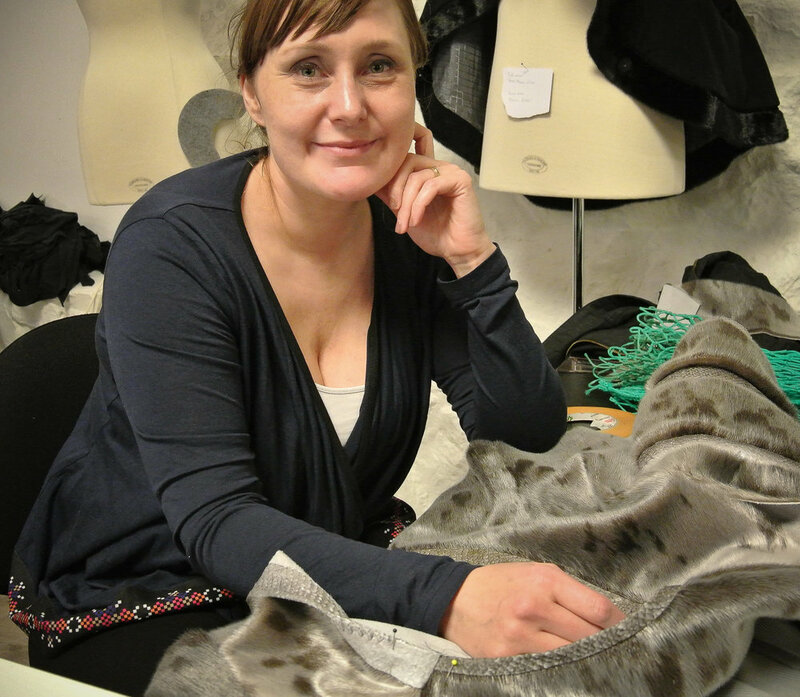 Louise Lynge Hansen is well known Greenlandic fashion designer, based in Nuuk, where she started her brand Nuuk Design in 2010 and was 5 years later joined in the business by Jeanette Holding. The brand which designs for both men and women, is characterized by Louise's elegant and classic designs, often inspired by elements of Greenlandic history and culture and always made with the vision of less being more. 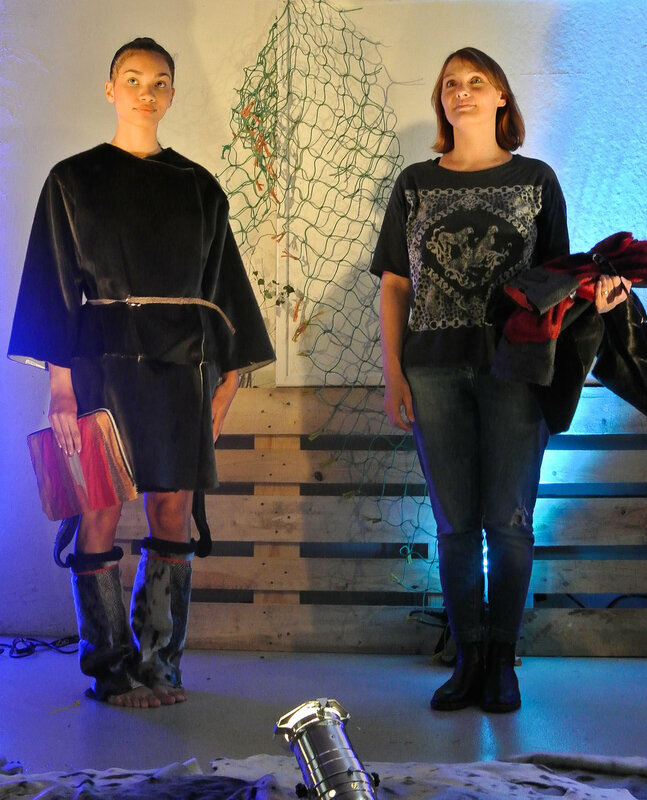 Her design at the Blue fashion challenge was a feminine short jacket made of natural colored sealskin and fish leather and a matching bag - for which she received over a dozen orders from guests at the final event! Louise also received a Special Award for her designs from the jury of the Blue Fashion Challenge. 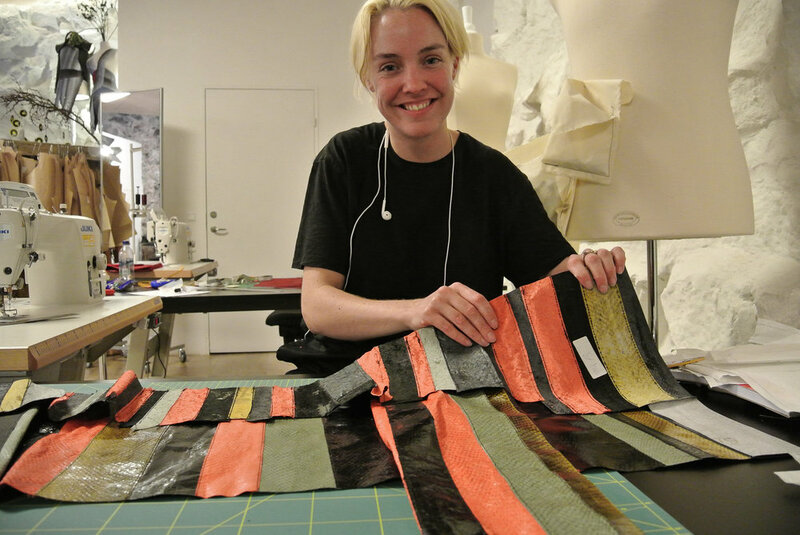 Marianne Mørck is a fashion designer from Norway and no stranger to using sustainable materials and by-products. Her well known high end fashion brand MØRCK is known for its use of fine Nordic leathers, such as salmon leather, reindeer leather, goat leather and lamb leather. 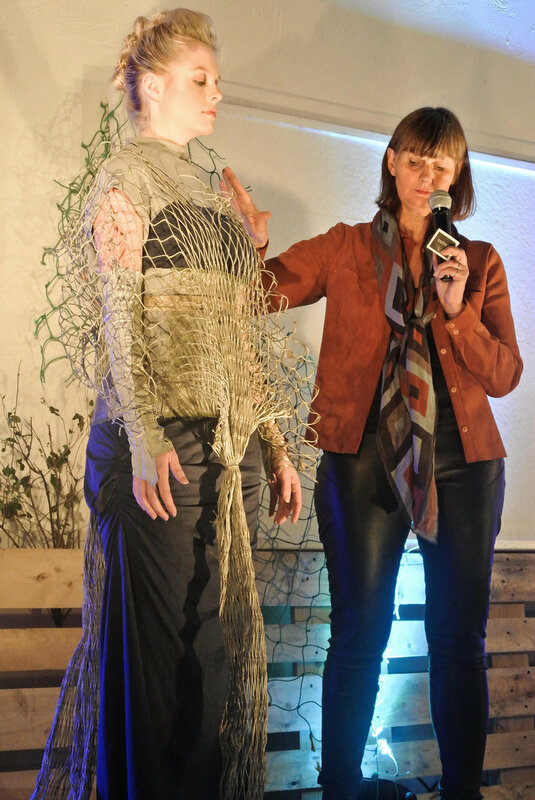 For the Blue Fashion challenge Marianne designs were from seaweed jersey and different colored salmon leather, combined with a piece of a fishing net she came across on a Faroese shore. 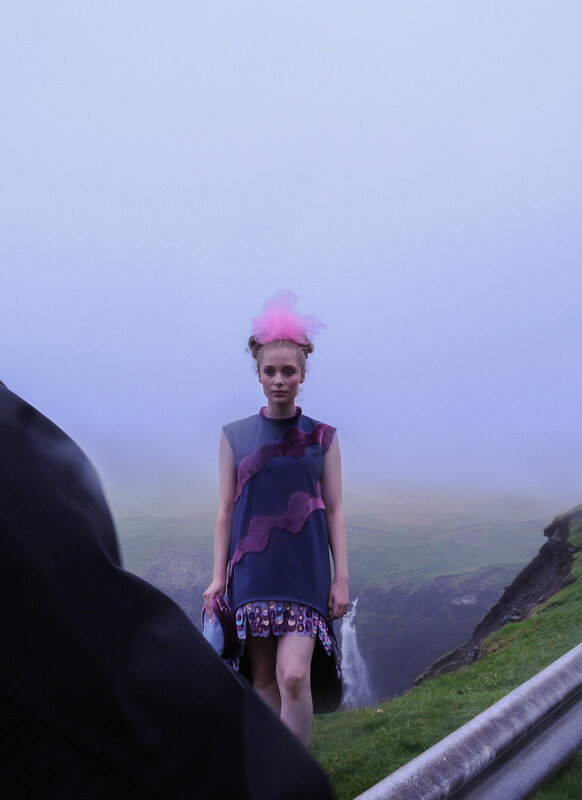 Sissal K. Kristiansen is the Faroese fashion designer behind the brand Shisa. 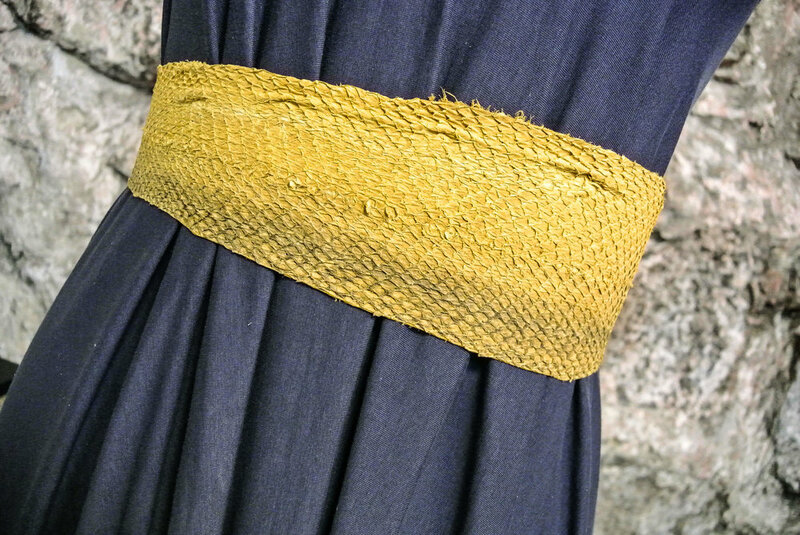 A slow fashion brand with all items handmade, Shisa created unique Faroese handiwork ranging from hand knitted wool sweaters to leather clothes and cotton waxed bags, all in original design inspired by the majestic Faroese nature. 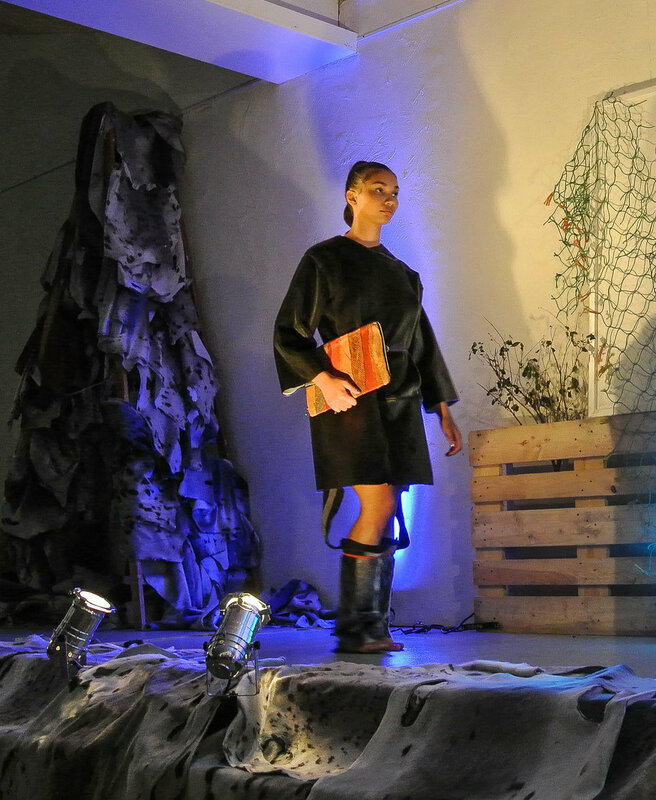 Sissal’s design for the Blue Fashion Challenge was a seaweed jersey hooded dress with a yellow fish leather belt, a top made of fish leather and a matching oversized bag - and that design won her the first prize of the Blue fashion challenge competition.